Enjoy a winter feast from the harvest of the High Country. 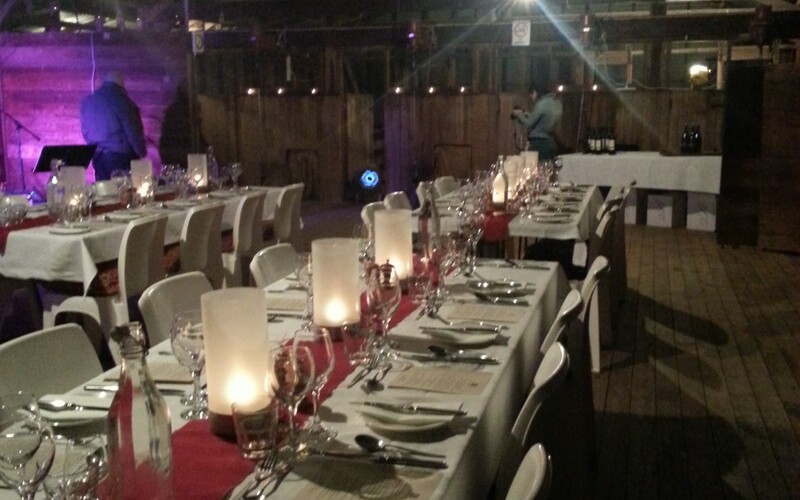 A long table set for a “dinner on the boards” nestled under the eaves of the quintessential Australian farming icon – the shearing shed. A hearty dinner combining the very best of the region with flavours of far away. Come and share in our country hospitality and embrace the history of our farming friends as you dine on the boards of the local woolshed (circa 1930). Gillian Belle (Mansfield Regional Produce Store, ex of Mt Buffalo Chalet) will delight guests with her menu created from the region’s freshest produce. Lamb, capers, local olive oils and cool climate wines will all share the limelight on this delicious Mediterranean winter menu. So don your winter woollies and head for the hills. You won’t be disappointed. A highlight event in the Melbourne Food and Wine Festival ~ Roast Collection.